Steve Jobs' iconic black turtleneck will be making a comeback of sorts this summer, with the company behind the original garment, Issey Miyake Inc., announcing a new version coming this July for $270 and called the "Semi-Dull T" (via Bloomberg). The model that Jobs wore was officially retired from production following his death in 2011, and a protege of Miyake, Yusuke Takahashi, is said to be the designer of the new turtleneck. The new garment is said to have the same slim black aesthetic as the ones worn by Jobs throughout the latter half of his career as Apple CEO, particularly on stage during major product announcement keynotes. The model was retired from production in 2011, after Jobs’s death, but in July, Issey Miyake Inc.—the innovative craftsman’s eponymous clothing brand—is releasing a $270 garment called the Semi-Dull T. It’s 60 percent polyester, 40 percent cotton, and guaranteed to inspire déjà vu. Don’t call it a comeback. 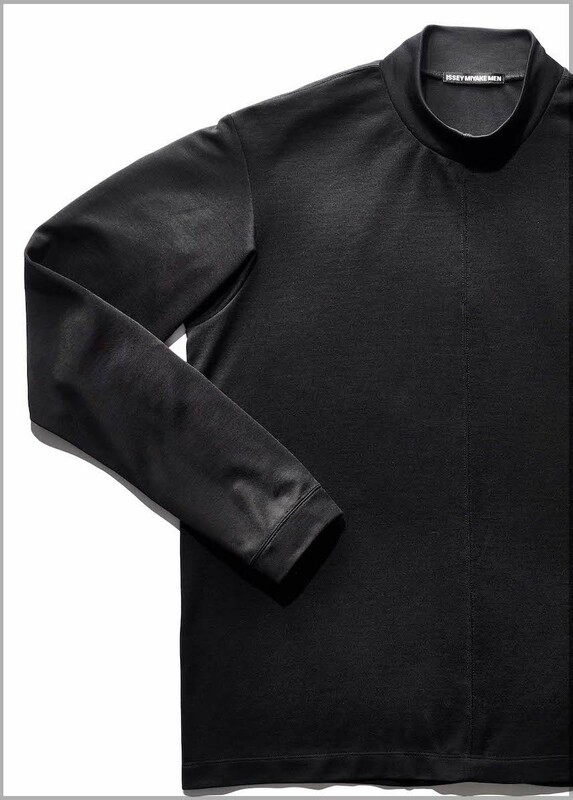 The company is at pains to state that the turtleneck, designed by Miyake protégé Yusuke Takahashi with a trimmer silhouette and higher shoulders than the original, isn’t a reissue. And even if the garment were a straight-up imitation, its importance as a cultural artifact is more about the inimitable way Jobs wore it. 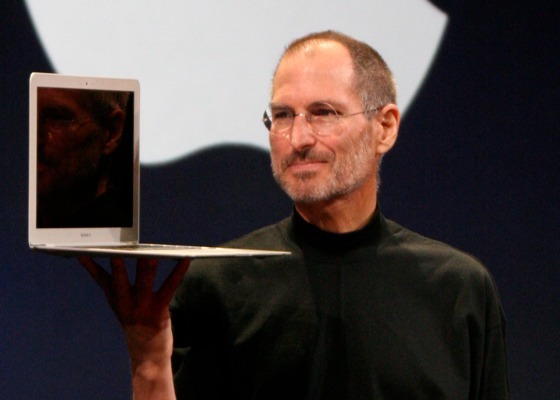 All the same, the company said that it's not a reissue or "comeback," because it has an even "trimmer silhoutte and higher shoulders" than the one Jobs wore, including during his final Apple keynote appearance at WWDC 2011. Bloomberg's report on the turtleneck includes a bit of the shirt's origin story, wherein Jobs unsuccessfully attempted to pitch a vest-like uniform for workers at Apple. Instead, the former Apple CEO came up with a uniform for himself based on his existing wardrobe of jeans, sneakers, and "stacks of black turtlenecks" he had already purchased from Miyake. Does anybody know if the sleeves are soldered, or are they user-upgradable? wow, I didn't realize turtlenecks were that expensive. So where can I buy the mock-neck of similar quality and design for, say, 15 or 20 bucks? Anyone? Anyone? Dead serious. Yes. You can also get something very similar at... anywhere clothing is sold. And a few other places. $270 for a Turtleneck? Will there be a $10,000 Edition version? However, anything can cost anything. Decided to go see what else they offered, and was NOT disappointed, albeit a bit surprised they ever made that turtleneck given their other clothes. I like to imagine Jobs giving a keynote in something like No. 4 or No. 31, had he chosen differently while in their store. What's great about those designs is that they're understated, practical and you wouldn't look like an idiot when wearing them. Yes, there will be. It's in the pipeline. Probably see it in a few years. They are soldered but don't worry. For the low price of $4,999 they will upgrade them for you. Don't try to do it yourself or you will void the warranty. World shortage of polyester explains the high price.